Plants are a great way to add some festive color and holiday cheer to your home. There’s nothing like entering a house and being greeted with the warm, iconic fragrance of pine to get you into the mood for bright celebration. 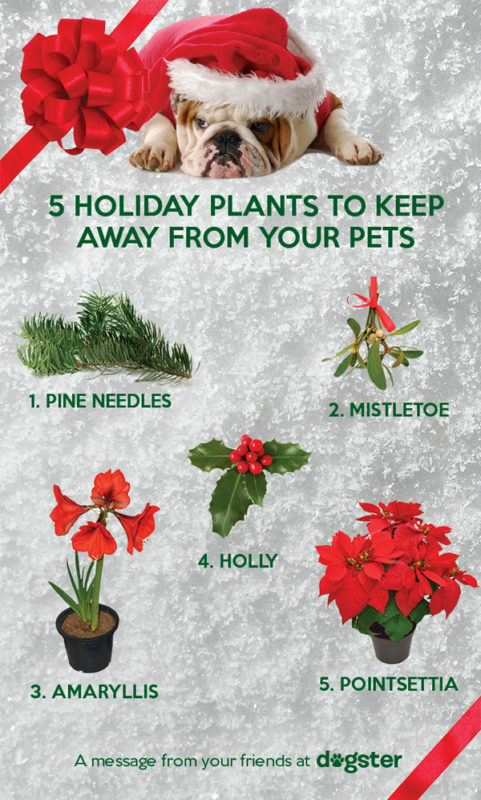 Unless, of course, you’ve got a dog at home — and some of that holiday decor includes poisonous plants for dogs. Holly: Holly berries may be the most attractive to dogs, but the leaves, bark, and seeds are just as poisonous. The effect of holly on dogs is similar to that of caffeine and chocolate. If you suspect your dog may have been poisoned, please seek immediate medical attention. Happiest holidays! Here’s wishing you and your loved ones a bright and warm celebration!